The Indian subcontinent is formed of diverse ecological regions that have helped shape distinct regional cultural adaptations over the last several millennia, including settlement patterns and local human ecology. I understood this fundamental fact during my M.A. in Archaeology in 2012 and when I started my PhD in 2014 (Arjun 2018), I was faced with the dilemma of narrowing down on a specific regional context for my research. Eventually, I began my dissertation archaeological fieldwork in 2013 by focusing on three different regions of Karnataka: 1) Raichur Doab 2) Brahmagiri and 3) Koppa (Figure 1). The first two regions are in the semi-arid Deccan plateau and the third in the Western Ghats. These two climatic regions are characterized by very low rainfall and high rainfall respectively and thus have very different ecologies, types of rocks and minerals, formation of hills and valleys, rivers and even the kinds of archaeological sites found within. Over five years of fieldwork in these areas, I was able to make numerous observations on the emergence of regional landscapes and cultural patterns, as societies adapted to these varied ecological conditions. In this post, I will focus on the western part of the Raichur Doab. 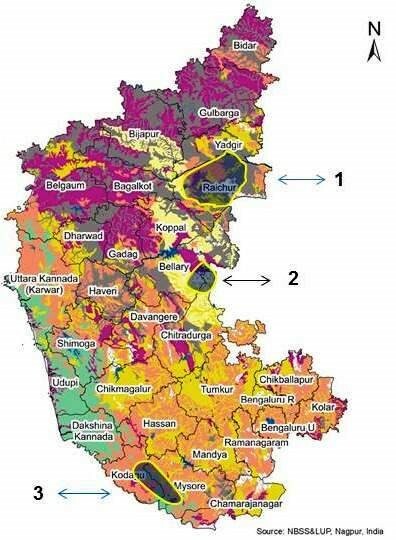 Figure 1: Map of Karnataka and regional studies by the author. 1) Western part of Raichur Doab; 2) Brahmagiri landscape and settlement survey project; 3) Koppa Archaeological research project. Map after source NBSS& LUP, Nagpur, India. A recent article in Nature titled "Early Middle Palaeolithic culture in India around 385–172 ka reframes Out of Africa models" has caused quite the uproar in news media in India and around the world, as it debunks the long-believed theory that complex tool-making emerged in the subcontinent after an influx of modern Homo Sapiens from Africa approximately 130,000 years ago. In fact, tools found at Attirampakkam, a site in Tamil Nadu, have been luminescence dated to 385,000 years old. South Asian Archaeology spoke to the team, comprising Dr. Shanti Pappu, Dr. Kumar Akhilesh, Professor Yanni Gunnell and Professor A.K. Singhvi via email; and their answers have been consolidated. Drs. Shanti Pappu and Kumar Akhilesh are from the Sharma Centre for Heritage Education, India. The site was dated by Professor A.K. Singhvi and his team from the Physical Research Laboratory, Ahmedabad, and the geomorphology is being studied by Professor Yanni Gunnell, Université de Lyon, Department of Geography, France. In January 2014, I was asked by a senior functionary of the Ministry of Culture, Government of India if I would be interested in working on a transnational World Heritage nomination involving Maritime History of the Indian Ocean (Figure 1). This was a tremendous opportunity as I had researched, taught and published extensively on Maritime History and Archaeology of the Indian Ocean since 1994. It was also an opening to enter the haloed world of World Heritage matters in the Ministry. Two years ago I had made a shift from academia and teaching at the Centre for Historical Studies, Jawaharlal Nehru University to take charge as the Chairperson of the National Monuments Authority under the Ministry of Culture. Getting involved with World Heritage and Maritime History provided the perfect route to combine my research interests with policy on and preservation of India’s maritime heritage. One thing led to another and I was asked to edit a book on the historical and archaeological dimensions of the theme of Mausam or Mawsim, as the proposed project for transnational World Heritage nomination was named. My name was included in the official Indian delegation to the 38th World Heritage Committee meeting at Doha in Qatar held in June 2014 and I was asked to make a presentation to the delegates including the officials of the World Heritage Committee. I first came across this image of Shiva and Parvati (Figure 1) as Uma Maheshvara in the Patna Museum; I was fascinated by the grace of this image as much as by its unabashed depiction of conjugal love. What incited my curiosity was the large number of these images found in the museum. What was the significance of the icon? Why were so many varieties of this particular image found from sites in Bihar over a long period of time from the 5th to the 13th centuries CE. The classic Uma Maheshvara image shows Shiva and his consort Uma seated together on the same pedestal, caught in an intimate embrace. While Shiva may be seated on a stone cushion or lotus throne, Parvati sits on Shiva’s lap or thighs. Parvati is always shown with two arms, while Shiva may have two, four or even more arms. Shiva is depicted as taller and Parvati small and almost child-like. They are both surrounded by a halo, bedecked in jewellery and carry different weapons and ornaments in their arms. Often their vahanas or mounts (Parvati’s tiger and Shiva’s Nandi bull), and other deities like Ganesha and devotees are also portrayed. The image represents cosmic procreation as well as the synthesis of two powerful and independent deities. In the 1760s, fearing the imminent invasion of the Zamorin of Calicut and Mysore’s Haidar Ali Khan, the King of Travancore, Dharma Raja, set aside his differences with the neighboring northern kingdom of Cochin to work together to build a defensive line. This 40-feet-high bulwark was called Nedumkotta — the famed Travancore Lines. The defense line stretched roughly 30 miles east-west and extended from the Dutch fort at Kodungallur near the western seaboard through the plains of the Periyar and Chalakudy rivers to the Western Ghats, which formed the eastern border of the Malabar states (Figure 1). It took me a while to write this post. I spent a considerable amount of time reading up on how to start a blog, figuring out the technical aspects of deciding between different providers (Blogger or Wordpress) and choosing a domain name. Then I went on to read about the characteristics of good blogs, the relationships between academics and the public, and explored several blogs written by academics in my field and outside. Eventually, after many forays down these interesting but unproductive byways, I reached the conclusion that I was going about it all wrong. The problem was that instead of just writing, I was approaching the blog as an academic problem, the way I would go about writing an article to be submitted for peer-review somewhere. Where is the data, I was asking? How do I interpret this data? What does the literature say? What do other academics say and do? I was so looking forward to seeing the movie Mohenjodaro - as one instance where a fascinating ancient civilization (and one we know solely from archaeological evidence) was adapted to the Bollywood scene. 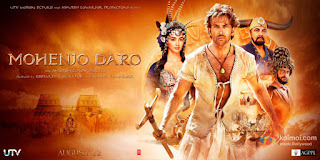 However, Mohenjodaro is merely a very poorly conceptualized backdrop set to a very average love story (when, oh when, will we stop making love stories for the sake of love stories?). The central question in my mind is this: why Mohenjodaro? The story could have fruitfully been placed in any modern-day context to much better effect. Uthara Suvrathan. Picture Window theme. Powered by Blogger.